To kick off our Zydeco Crossroads project, the legendary C.J. 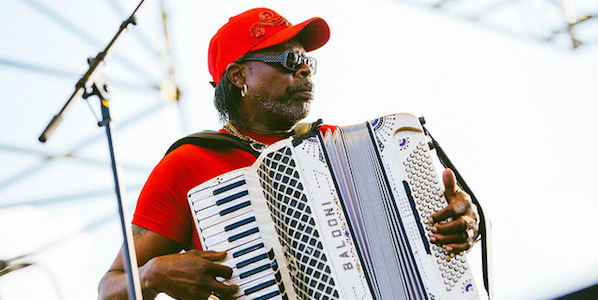 Chenier and the Red Hot Louisiana Band performed at this summer’s XPOnential Music Festival. The performance kicked off the 13 month long series of live concerts, dance parties, a monthly radio show and the making of a documentary by filmmaker Robert Mugge. Below, watch a trailer for the film which includes performances from C.J. and footage of an interview that World Cafe host David Dye did with Chenier.